Workplace fatalities across the United States dropped in 2012 from the previous year, according to recently released data from the Bureau of Labor Statistics. But the number of construction deaths is on the increase. Across the country, 4,883 workers died in job accidents in 2012, down from 4,693 in the 2011. However, according to the Occupational Safety and Health Administration, the number of construction-related fatalities increased. 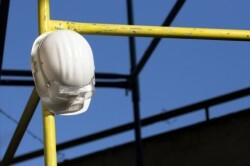 The rate of construction fatalities went from 9.1 per 100,000 workers in 2011 to 9.5 in 2012. The number of private-sector construction workers killed rose from 738 in 2011 to 775 in 2012. Other sectors also reported increased fatalities. For instance, deaths in the oil and gas construction and extraction industry increased a reported 23% in 2012. There were 138 fatalities in the sector, which is believed to be a record for the industry. Oil and gas extraction is currently enjoying a boom, thanks to a focus on domestic drilling and local production. As the industry continues to expand, however, it is becoming clear that this growth is occurring at the cost of worker safety.